We have reached the middle of the week and the weekend is in sight. But before we reach it, you should take a moment to relax with a set of awesome bonus spins at PlayFrank. This week also includes a special offer that rewards you with valuable super spins on Book of Dead! PlayFrank players are used to being spoiled with superb bonus spins offers but things are heating up even more in the excellent UK casino this week. In addition to the normal offers, you can get 20 Super Spins on the ultra popular Play’n GO slot Book of Dead when you make a deposit this Friday. These spins are worth £1 each, so even though it’s Friday the 13th it might turn into a really lucky day for some of you! Just make a deposit of £50 or more during Friday and the 20 Super Spins are yours. We are stoked to finally try out Play’n GO’s next flagship game Baker’s Treat this week, as we have been loving what we have seen of it so far. Try it out with a bag of shiny spins at the end of the week, before you claim your generous spins on Book of Dead on Friday! All bonus spins come with a wagering requirement of x40, you can click on the link to read more. We also want to share a piece of great news for those of you who like to complete the Daily Challenges in the PlayFrank casino. Some of the most popular NetEnt slots have been added to the Daily Challenge mix, which means that there are even more superb games to choose from. Start completing the bite sized missions today and collect bonus spins rewards along the way. 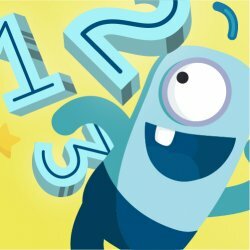 Visit PlayFrank to learn more about the Daily Challenges, as well as the unique Track system with tailored and generous rewards!